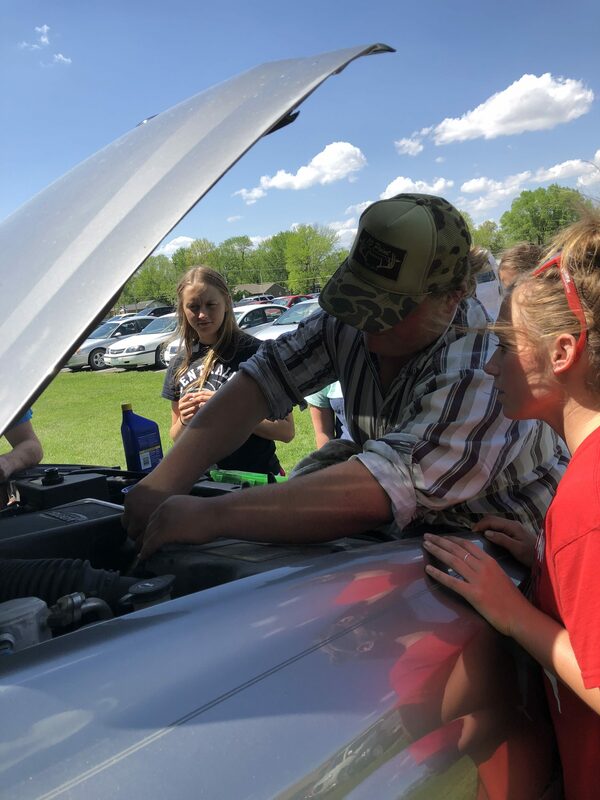 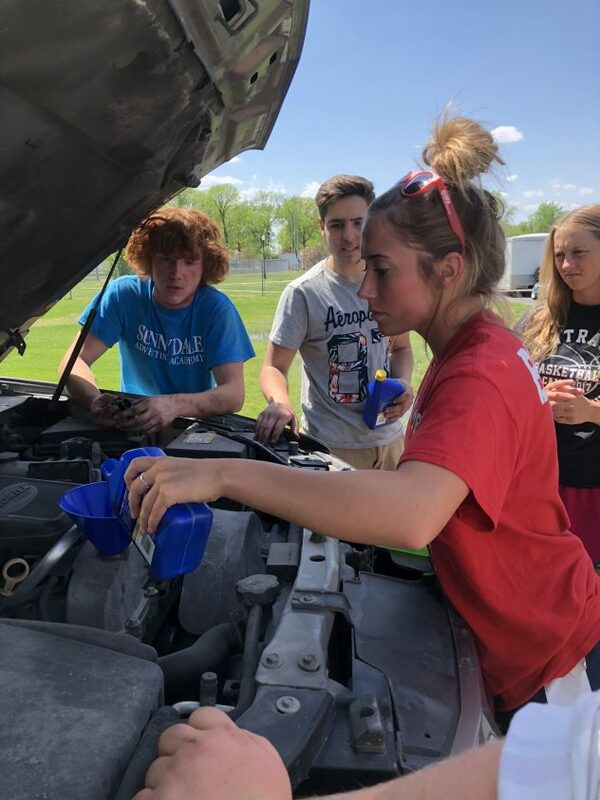 Real World Seminar class learned some basic car care. 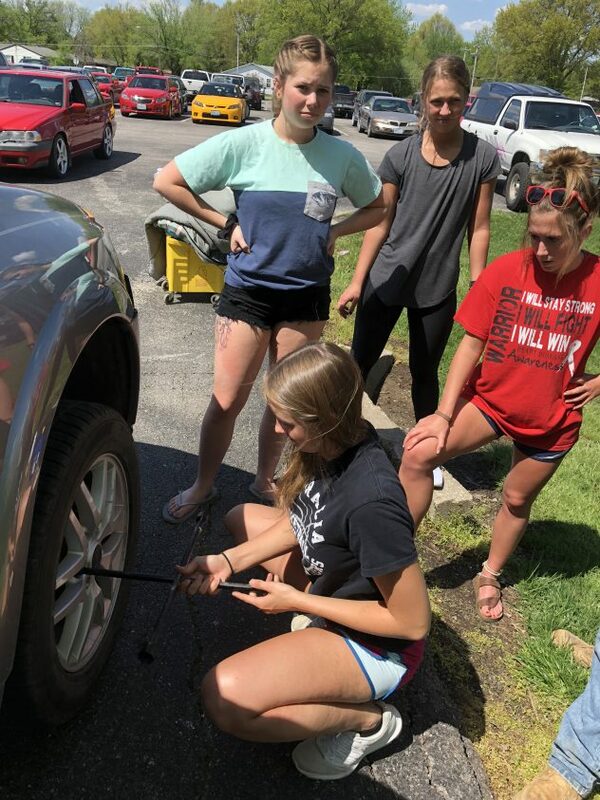 Thank you Harvey Million, Jim Peters, Chandler Randolph and James March for your help. 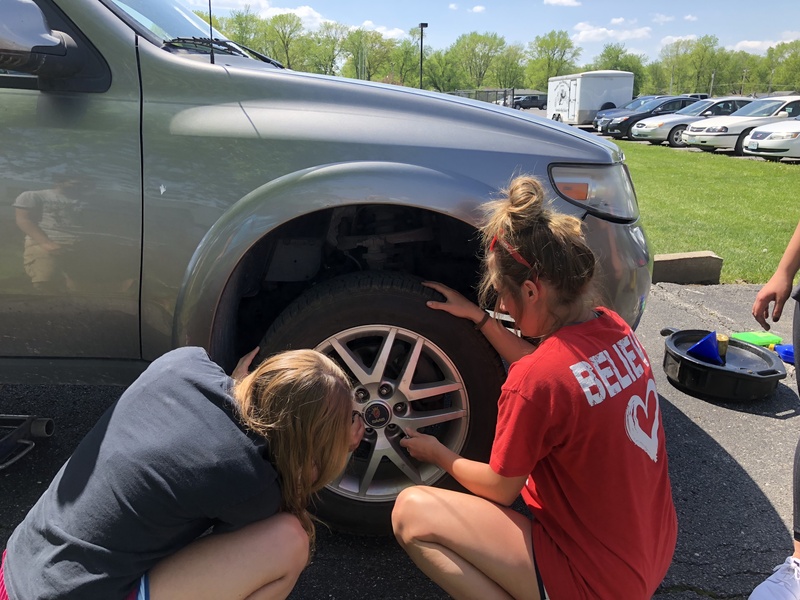 We checked tire pressure, filled wiper fluid, checked and changed oil and changed a tire.